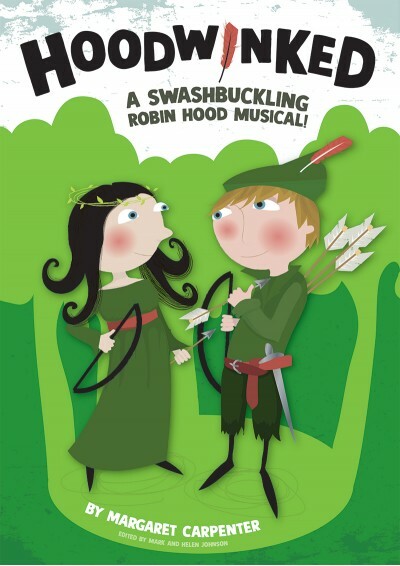 Hoodwinked is a modern and witty Robin Hood musical adaptation, great fun to perform at any time of the school year. Available with Words on Screen™ v2. BUY THIS ONE - I think you should! This modern Robin Hood musical is great fun to perform and will be enjoyed by children and parents alike. Robin Hood is back in town, along with Maid Marian, the Sheriff of Nottingham, Friar Tuck and Richard the Lionheart. Will he succeed in his plight to free the nation from the tyranny of the wicked Sheriff? Will King Richard return from the Crusades in time? And, will Maid Marian get her man? A swashbuckling modern adaptation of the traditional Robin Hood story, Hoodwinked will have your audience 'booing', 'hissing' and 'cheering' with gusto. Your Words on Screen™ v2 eSongbook allows you to stream or download songs from your online account and to access PDFs, MP3s and additional resources instantly. Streaming is free for the first 12 months; after that a current Annual Digital Site Licence will be required to be able to continue streaming. I got the part as Maid Marian and I can't wait until our play in July! I get a bit nervous singing but it's still fun! 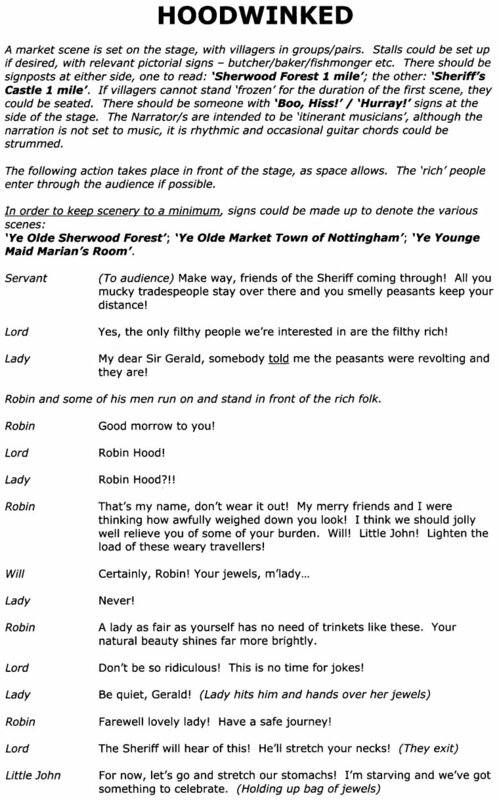 I am doing this production in July for my year 6 leavers play and I auditioned and got the part of Maid Marian! Love all the songs especially my solo, and cant wait to perform it in the summer! I really like this play. it is funny and the parents really enjoyed listening to it.I was Maid Marion!!! 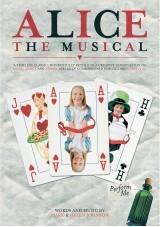 My school did a production of this when I was in year 6 back in 2007 it was fantastic. It was really funny. I did this back in 2006 and I was maid marion :)nThe songs are great and the script is good too - not too pantomimy and not too boring! !n LOOOVED ITTT!!!!!! As always the songs are great, there is a mix of slow and upbeat songs and those suitable for solos. We have put this together with lower KS2 and it has been hard, the jokes are lost on them a little and there are lots of short scenes which don't flow together that well. I am running a drama club and we are using this play. The children love it and it is so funny. We love the songs and it is very easy for a teacher to implement so thanks so much! I love Hoodwinked! All the songs are great especialy What A Man!nI got the part of Robin Hood (even though im a girl!) and I absolutly loved playing it! Go Hoodwinked!!!! 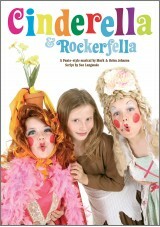 This is a really funny play with some excellent lead roles and plenty of opportunities to write kids in. The music is FAB. It has great solo, choral and round elements. It would be 5 star but for 'Are we happy' but you can skip this.nnThanks Out of the Ark for a great summer production. I think that this play is a perfect length however, there are are only a few main parts and if you don't have a main part, you don't have much to say. 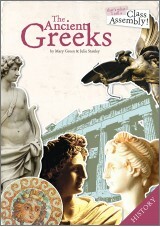 A very funny script which is enjoyable to listen to. Our school is doing it for our leavers and I have the part of maid marian how cool is that. I love Hoodwinked! It is sssssssssssssssssooooooooooooooo cool!!!!!!!!!!!!!!!!!!!! Our school are doing it for their leavers production and i am so excited! 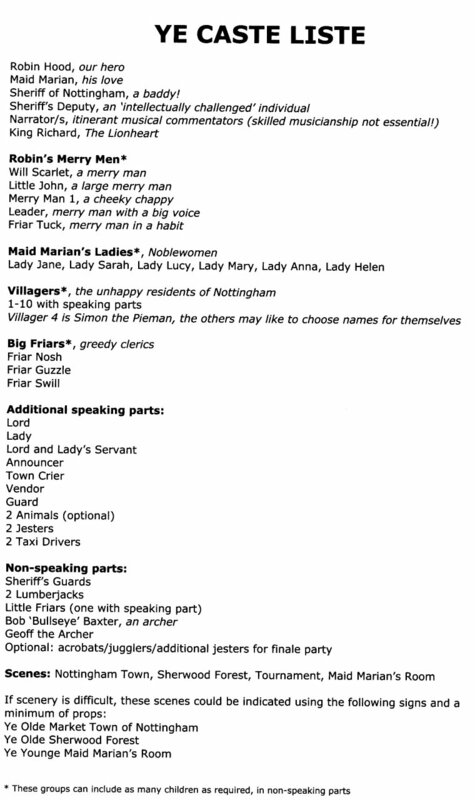 i am going to try for maid marian so the little pieces of songs on this site are great for practicing at home!!!! I think that hoodwinked is a great production and has a load of very Joyful SONGS it is a very lively show which draws the audience in. This is a wonderful musical, with a fun script and excellent songs. The children (Y2) loved every minute of it. The harmony in "What A Man" is beautiful, yet easy to teach/learn. I will be looking out for further Margeret Carpenter musicals. Thanks for a great show! extremely well written music which makes singing three part harmony DEAD easy!!!!!! Very funny! AND performed by year 3 and 4 children only. We had so much fun- a big hit with every one. I love it!!!! !nIt is a fun and exciting play! we have just started doing this at school for my y6 leavers performance and i have been given the part of maid marion. I have just been practicing my solo. I CANT WAIT FOR OUR JULY PERFORMANCE!! OUR SCHOOL ARE DOING IT ITS AMAZING!!!!!!!!!!!!!!!!!!!!!!!!!!!!!!!!!!!!!!!!!!!!!!!!!!!!!!!!!!!!!!!!!!!!!!!!!!!!!!!!!!!!!!!!!!! I got maid marian this is a fab play! My schools doing it!